Despite being Nottinghamshire based, we provide safety cover at events all over the country, including many festivals and organised sport events such as rowing regattas. From the prestigious Henley Royal Regatta to the huge Reading Festival, our event cover is to the highest standard and is accustomed excellently to what the event cover specification is. At festivals such as Latitude, Secret Garden Party and Wilderness Festival we lifeguard open water swimming lakes and at Port Eliot Festival we lifeguard swimming in an estuary in addition to lots of other events! Alongside the open water swimming we cover at events around the country, we also run a statutory position at the Nottingham City Open Water Swimming Centre. Held at Colwick Country Park, sessions are run three times a week during the season stretching from May to September time. With organised cold swims monthly, for those brave enough to take the plunge in the colder months! We cover various other water sports, each of which being particularly fun to get involved with for their own reasons. Rowing regattas, including the world famous Henley Royal Regatta. Dragon boating, which are long boats paddled by teams of 20 and a drummer. 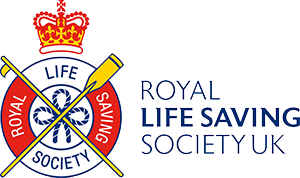 Colwick Park Lifeguards is a member of volunteering England and affiliated with the Royal Life Saving Society UK. Colwick Park Lifeguards is a company limited by guarantee, registered in England and Wales. Follow Colwick Park Lifeguards on social media.